Coke oven magazine #8. 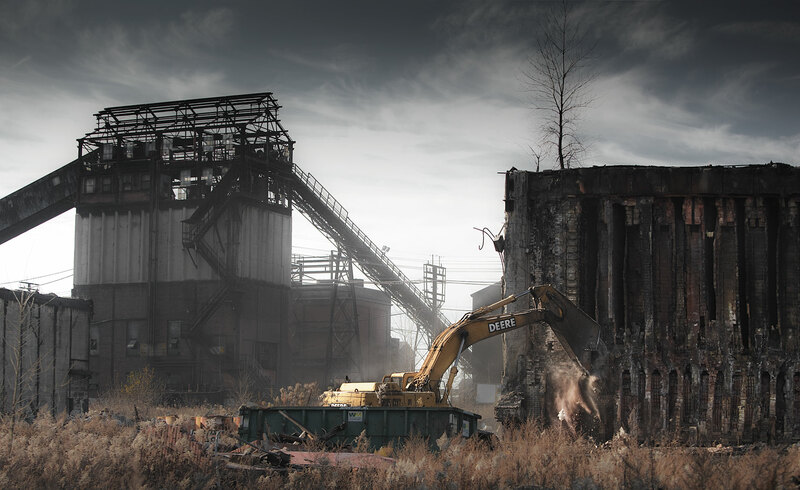 As I was shooting this project the remaining coke ovens were being dismantled. This took weeks as the ovens are solid brick and are larger than a city block.